Today was a good day. After a gruelling couple of weeks at work I gave myself the day off. My father is in poor health with a neurological disorder and brain damage caused by a fall last year. He is mostly in a wheelchair but manages to shuffle a few feet on a frame. It is only through the amazing love and care of my mother and her sheer determination that he still manages to live at home. While they do get assistance with showering, meals and home care throughout the week, she is his prime carer. Mum has some serious health issues herself, including an auto-immune disorder, and yet she is up at all hours of the night attending to his needs and cannot leave him in the house on his own for more than a few minutes during the day. The indignity and helplessness and hard work that dad’s illness has brought into their 52 years of married life is unspeakable. My mother is incredible. At a family dinner recently the siblings were chatting as to where the next holidays were going to be. I knew it had been a particularly tough week for mum and it broke my heart to hear her comment sadly that she will never get a holiday; she was feeling so defeated and down. I told her that once the major deadline at work was over in a few weeks that we would arrange a few hours respite care for dad and that her and I would go out for the afternoon. That day was today. We had 4 precious hours of in-home respite care for dad. I was there to pick mum up shortly before the carer arrived at 12pm; we were in the car by 12.03pm. Mum had no idea, and didn’t care, what we were doing. I had so much fun in the week prior, planning a special 4 hours to spoil her. 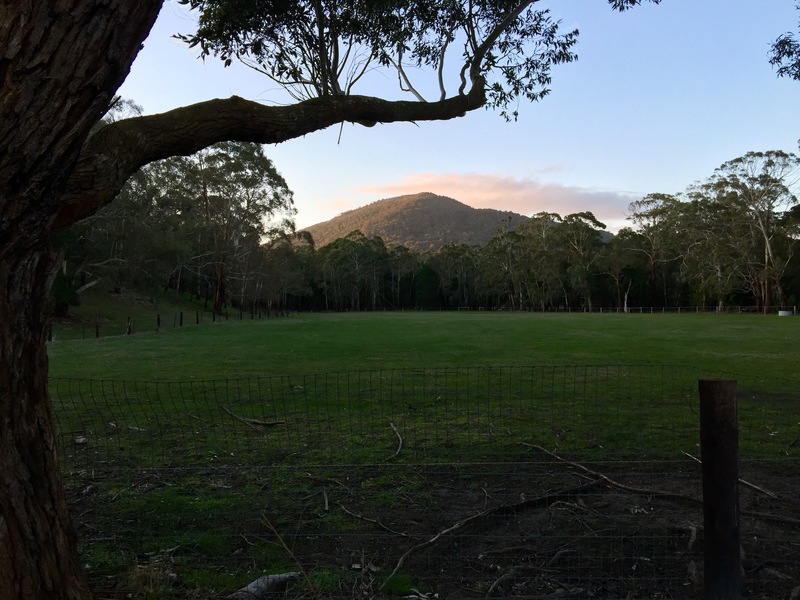 We drove 45 minutes to Woodend, near where we live. The first stop was to visit the wonderful Arnie at the florist, Flowers In A Vase. 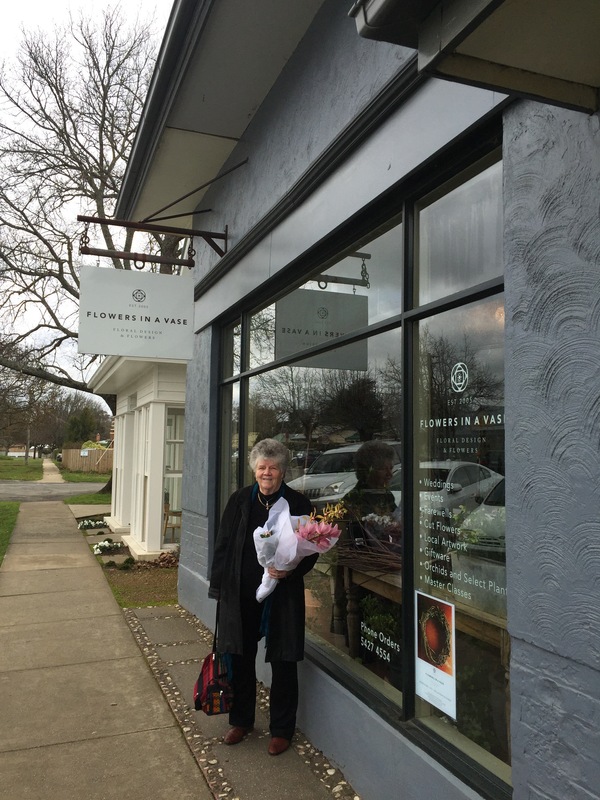 Arnie used to run this florist around the corner from our house in Mount Macedon. Arnie and mum became friends years ago when Arnie was walking past our house and found mum lying in the ditch out the front of our house. Mum had been out picking flowers and fallen in a hole and, with two artificial hips, could not get up. She’d been lying there for ages, calling out to Craig and the boys in the house, but no-one heard her. Arnie was able to go to our front door and summon Craig so that the two of them could help mum up. Arnie and mum became friends that day and whenever mum was visiting us on the mount she would go and visit Arnie in her florist and have a good chat; mum really missed Arnie when she moved to Woodend a year or so ago. Arnie always makes me think of the Juliette Binoche character in Chocolat, who always knew exactly which chocolates would help to make an individual happy. Arnie is like that with flowers; she knows exactly what people need. I had the absolute pleasure of receiving many of her heart-felt floral arrangements from friends during my surgeries and treatments; her little car would buzz into the driveway and she’d always stop for a short chat. 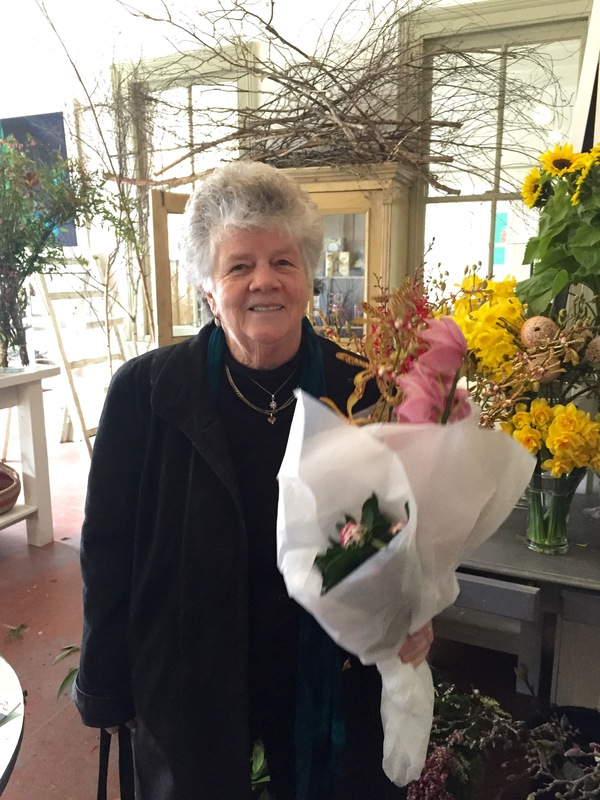 It was therefore a thrill for me to be able to make mum’s first stop today at Arnie’s new florist in Woodend. Mum loved catching up with her. They chatted for about 10minutes before we came away with some magnificent orchids and a posy of daphne. 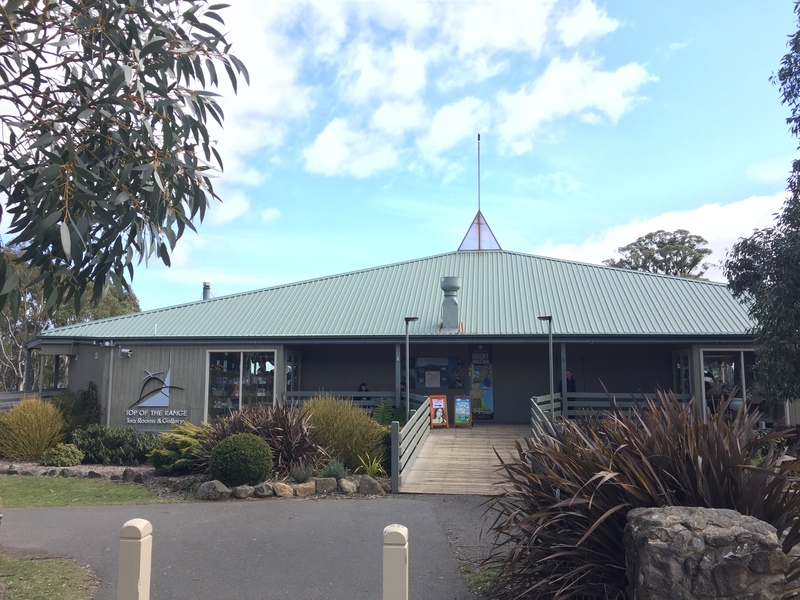 Next stop was lunch at Top of the Range on the top of Mount Macedon. 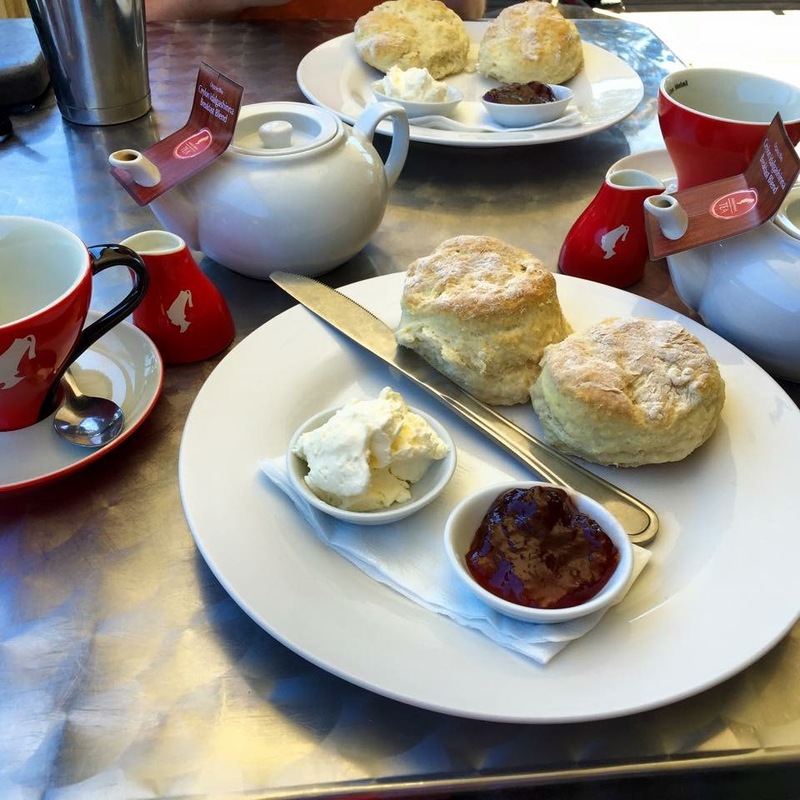 I know mum particularly loves this place with the windows looking over the bush to the plains below, and the best scones and jam and cream in Australia. 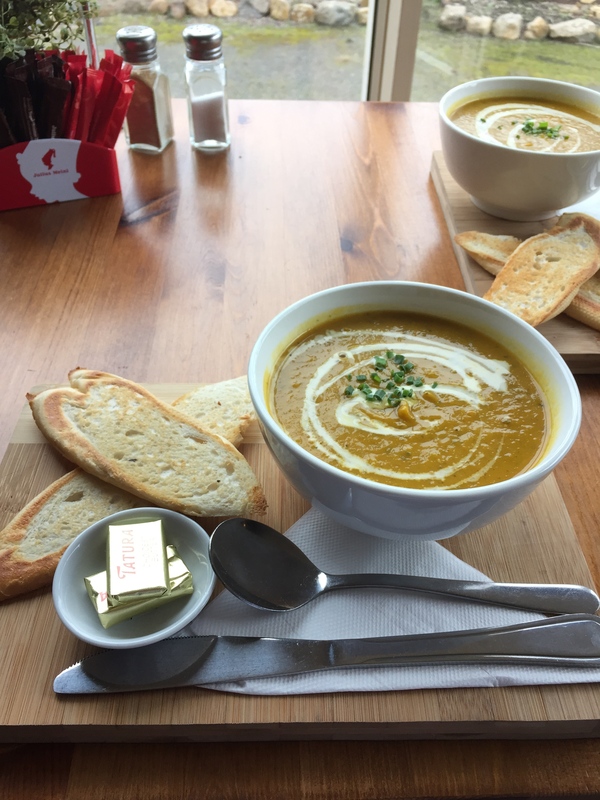 We sat at a sunny window seat and enjoyed delicious Thai pumpkin soup and the compulsory scones and pots of tea. It was all so filling we could barely move but we had to press on. Mum had not been to our place since they visited at Christmas time. My parents used to regularly come and stay with us and mum loves the mount as much as we do. She wanted to see what was happening in our garden, along with some new items of furniture we’d purchased since she was last there, such as my chair. 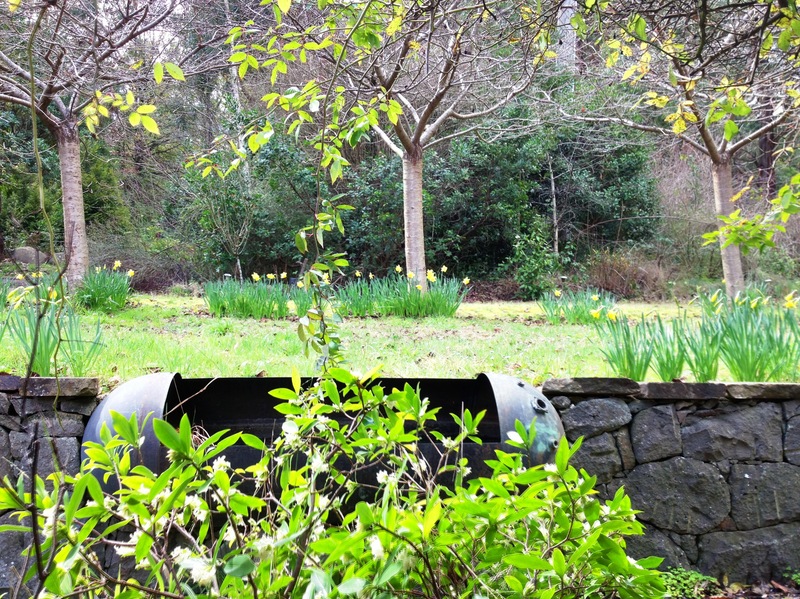 We made a 5-minute stop at our house – the daffodils are not quite out in full bloom yet, but getting very close. Mum said she just wanted to be able to picture us in our home when I talked to her about our daily lives. The final part of the outing was a surprise booking at the Spa in Gisborne for mum to have a pedicure. Never having had a pedicure before, I think she was a bit nervous about what was in store, but it was wonderful. Instead of painting her toe-nails they spent the extra time with foot and calf massage – she came out floating on air. She kept talking about Jesus washing the disciples’ feet and how she really gets it now. I know it was an experience she’ll never forget. While she was having her pedicure I popped into the shops and bought some pastry slices to take home to dad and a cool drink for mum for the ride home. Like Cinderella and the pumpkin coach we then high-tailed it back to the city to get mum home in time for the carer’s departure. It was a magic day. We didn’t let on to dad where we’d been as we knew he would be sad he wasn’t with us – we’ll take him for a drive up home soon when the daffodils are in full bloom and spring is in full force on the mount. Mum said she couldn’t wait to sit and ponder and re-live every moment of the outing. I loved being with my mum and can’t wait to steal a few hours with her again. 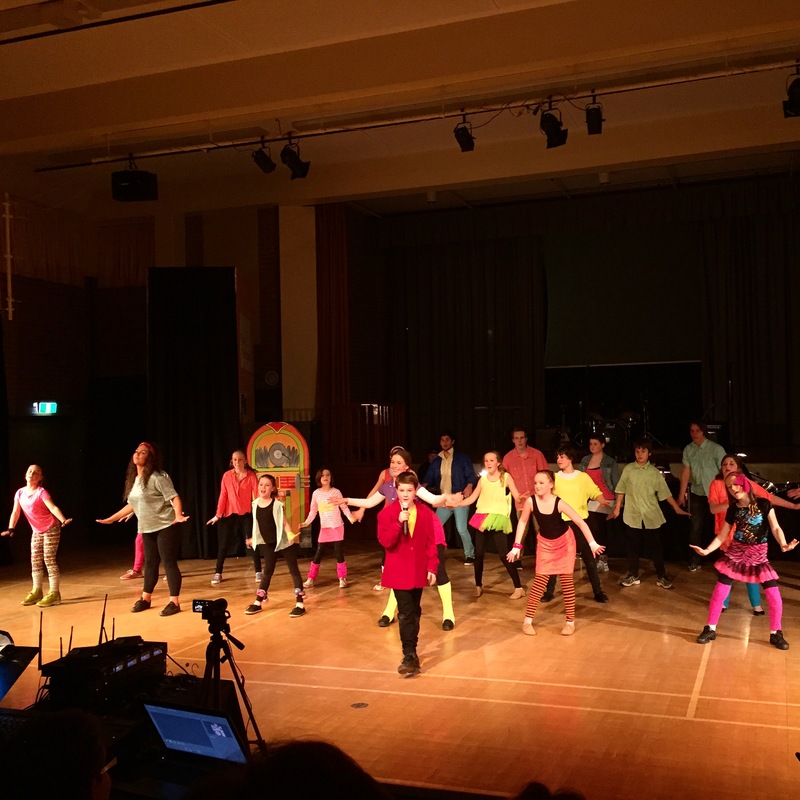 I wasn’t able to linger at their place as it was the gala opening night for the school musical production where my 11-year old baby Joshua sang a solo and performed. Today was a very good day. This entry was posted in Family, life, postaday, respite, Weekly Photo Challenge and tagged Australia, family, good, inspiration, life, mother, postaday, respite, spring, weekly photo challenge. Bookmark the permalink.